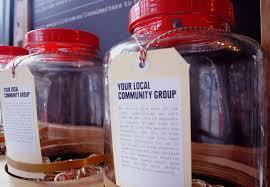 Grill’d Carindale love to give back to the local communities. Every month Grill’d will donate $300 to the local community you have selected. Grilled Carindale is located on the ground floor of Westfield Carindale, opposite Coles. It is open from 10.30 am to 10.00 pm seven days a week. With each purchase everyone receives a token to place in one of the 3 charity jars. Quota Carindale was one of the charity jars this month! The jar with the most tokens at the end of the month wins $300. Quota Carindale came 2nd? Thank you to everyone that popped a token in the jar.